Can a migraine trigger a panic attack? Yes it can. Using healing meditation music can help ease your pre-migraine anxiety significantly. Music or meditation is an effective way to reduce feeling stressed out in between migraines too. 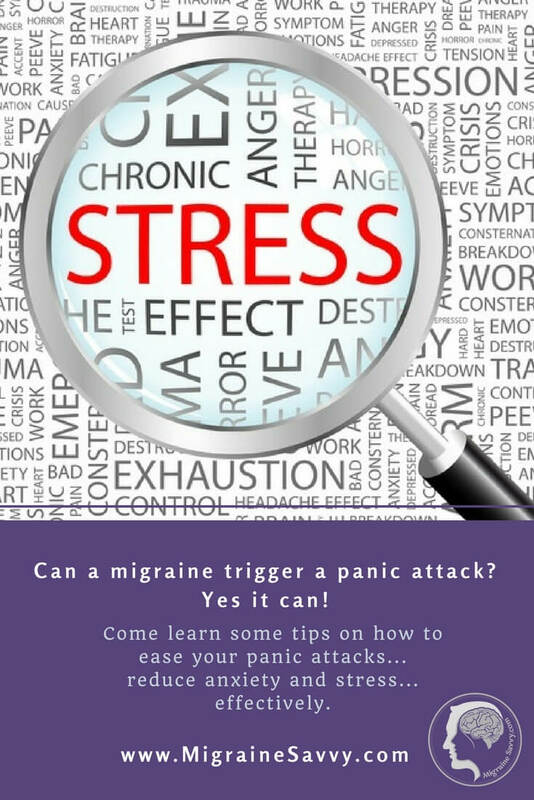 The intense pain that comes with a migraine attack used to trigger anxiety that often led to panic attacks for me. It's actually part of the attack. Did you know that? One of the symptoms in the third phase of migraine, the most well known phase - the pain phase, is severe anxiety. The body knows long before you do that a migraine is on its way. And adrenaline can get released, so anxiety is common. How can you not get anxious over the intense pain episode you know is coming. I am still aware of the underlying anxiety and the tension I hold in my body even between attacks. I don't know if you experience pre-migraine anxiety or panic attacks, but this should help. Here are just a couple of my top choices for healing meditation music that I use to calm down and take care of my pre-migraine anxiety as fast as possible. Migraines can most definitely trigger a panic attack. Healing, soothing, music can calm you right down, and you don't have to do much to accomplish a more relaxed state. Guided meditations and soothing music have been part of my migraine coping strategy for years now. If you don't have noise sensitivities associated with your migraine attacks, please consider using healing meditation music and relaxation CD's or MP3's to form part of your pain management strategy. I believe in energy and vibrational healing and I believe that sound helps heal too. I have written more below on why I believe that energetic healing works. Click here if you'd like to read that first. Can Healing Meditation Music Stop Your Panic Attack? It's nice to have a variety of soothing healing meditation music to help you with relentless, repeated attacks, so here are my favorites ones. Dr. Weil's Breathing CD can help you work with your breath. Using a longer exhale than your inhale will activate your parasympathetic nervous system and calm the body down. Dr. Perts Psychosomatic Wellness has more than music - it has been my favorite for many years now for helping me to relax and calm down that pre-migraine anxiety. And stop that impending feeling of doom! Don't just save it for nasty attacks, listen to it anytime you feel stressed out to calm yourself down. I listen to each new download over and over... I've been listening to this one each night before bed for months now. It might even be a year... I love it. I already mentioned using the breath as a tool to reduce panic. Are you familiar with the chakra system that exists in the body? There are energetic power centers at different locations throughout the body that are believed to hold different emotions and connections to the physical body and to spirit. This chakra balancing CD is just great, before, during or after a migraine attack just to re-balance yourself. I listen to this one any time when I feel the need to rejuvenate myself and clean my chakras! “What is the chakra system? Most of the classical esoteric books describe it as an ancient Indian way of dealing with the energy currents of the human body.” (Ruth White, Working With Your Chakras, 1993 p.1). What is not so commonly known, she points out, is that some of our great Cathedrals built in the West used this system for calculating measurements and proportions. Will Energetic Healing Cure My Migraines? Over twenty years ago I began studying energetic healing. I came to discover the Chinese meridians and the chakra system. 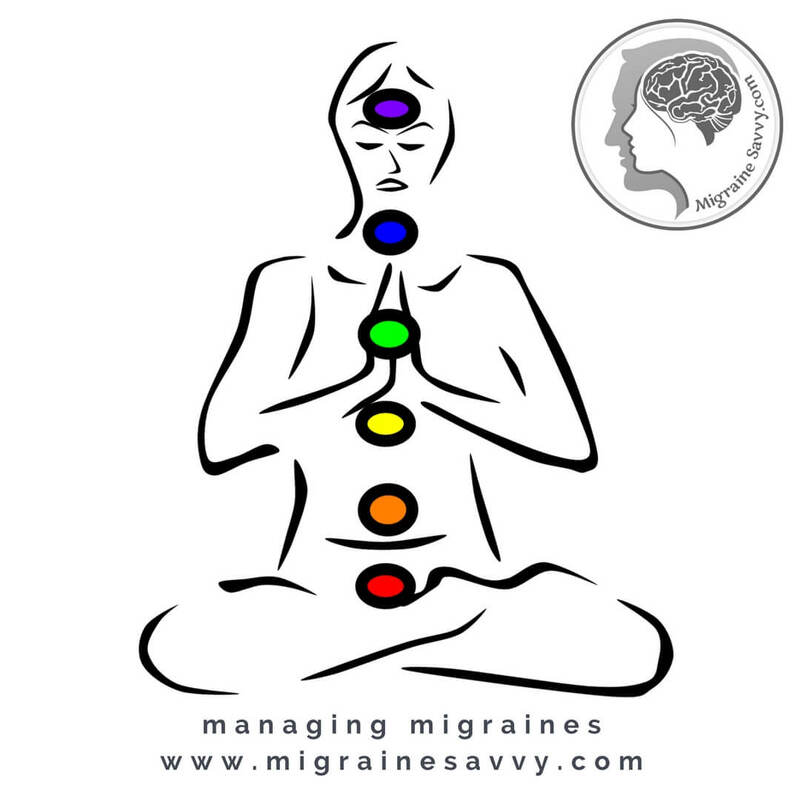 You might like to read my article about migraine pressure points. Now let me tell you why I think chakras are important to consider. Basically, the human body has a number of chakras, or energy points, that receive and transmit energy. 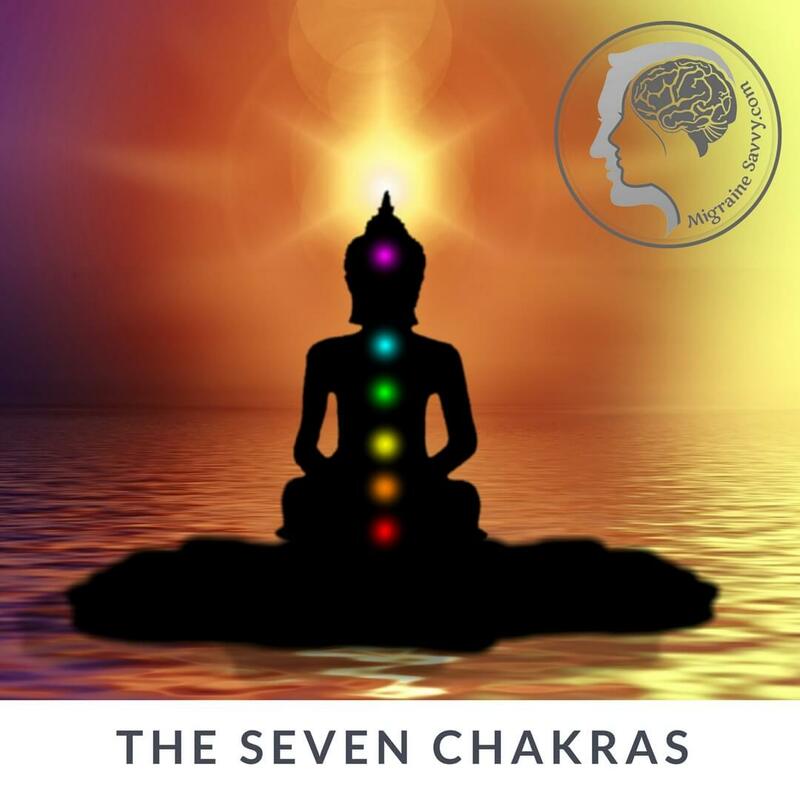 The ancient Indian yoga philosophy describes six chakra centers belonging to the human body and a seventh chakra above the head that does not belong directly to the human body, but to your spiritual connection. The well known seven chakra locations begin at the base of the spine (base, root) and extend up through the top of the head (crown). The chakras also refer to different levels of consciousness and are most typically represented as lotus flowers. It has been more accepted over the recent years for Eastern religions and healing modalities use the chakras to pinpoint disease. Clearing a blocked chakra will help the body heal itself, according to medical intuitive and author Caroline Myss. In one of her first books, Anatomy of the Spirit, Myss uses her insightful gift to help people heal on levels we just can’t see. She reports that headaches are most often due to issues with the crown and brow chakras. 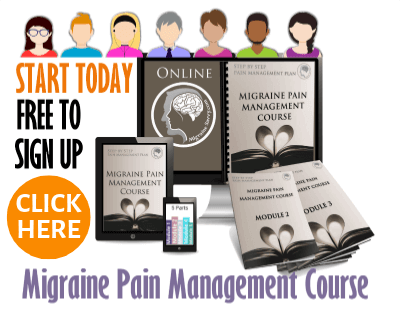 While energy work may help relieve the pain of a migraine or headache, you must first seek guidance and direction from your primary physician or traditional health care provider. It will not 'cure' your migraines. 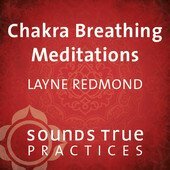 Layne Redmond covers the seven chakras in her balancing meditation these are: base, sacral, solar plexus, heart, throat, brow (I prefer calling it the third-eye chakra) and the crown. The chakras can be treated by releasing any blockages affecting the flow of energy to or from them. 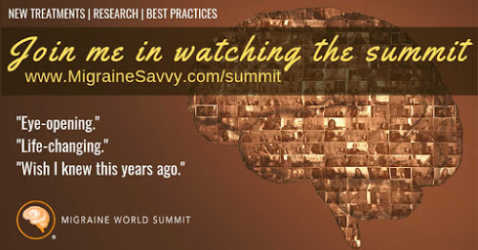 Caroline Myss says that the crown and third-eye chakras most directly affect headaches. The body system connected with the third-eye chakra is the brain, central nervous system, and cerebrospinal fluid. Emotional health is not really relevant (although trust and doubt reside here), but clarity of mind and centered awareness is. The crown chakra, that is not really a physical chakra but more mystical, is about spiritual integration and getting in touch with your higher self. It is believed that negative emotions such as anger or fear, and physical issues such as poor eating habits, or health challenges can cause chakra blockages. Issues with the third-eye chakra result in headaches and blurred vision, while an out-of-balance crown chakra can be the cause of more persistent headaches such as migraines. After all of that, each chakra has a specific musical key associated with it, and so the vibration of a musical key cleans and balances the aura and chakras. I believe this is why people that meditate and chant appear to feel so balanced and at peace. I do find this the best way to ease anxiety... if you are struggling please experiment with this. For more healing meditation music that I love, please click on this link Migraine Headache Music: The Calm Before the Storm.